The Texas Secretary of State’s Office reports that the state’s number of registered voters set a new record — growing to nearly 16 million voters. Texas Secretary of State Rolando Pablos said that the number of voters in the state grew to 15.6 million in advance of the coming gubernatorial election. This represents an increase of 1.6 million voters since the 2014 elections that swept a new slate of Republicans into statewide offices. Nearly 400,000 voters registered since the March Texas Primary Election, the Houston Chronicle reported. The two fastest-growing counties sit adjacent to Travis County (Austin). Williamson and Hayes Counties reported a jump in voter registrations since March of four and 4.4 percent respectively. The state’s largest counties (based on population), Bexar (San Antonio), Dallas (Dallas), Harris (Houston), and Tarrant (Fort Worth) reported increases of about 2.4 percent since March, the Chronicle reported. While there is little doubt about most of the statewide office races, Texans could play a major role in deciding which party controls the next Congress in Washington DC. Republicans face strong challenges in several House districts across the state. Some of those include the 22nd Congressional District, located southwest of Houston, the 32nd Congressional District, north of the Dallas-Fort Worth Metroplex, the 21st Congressional District, north of Austin, and the 31st Congressional District, also north of Austin. 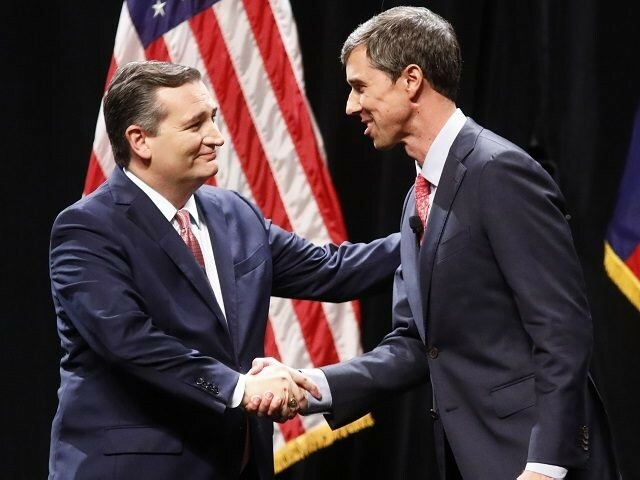 The U.S. Senate race between incumbent Senator Ted Cruz and Democrat Robert Francis “Beto” O’Rourke could also be a determining factor in Republican’s holding control of the Senate. As seen this week, control of the Senate plays a huge role in the confirmation of President Donald Trump’s nominees. These numbers from the Secretary of State’s Office show a 35.62 percent increase in the number of registered voters since 1998. However, census numbers show the state’s population increased by 42.36 percent over that same period. Interest in mid-term elections is normally fueled by the race for the Texas governor. That is not the case this year. “It’s been one of the most uninteresting races for governor in my memory,” Harold Cook, a Democratic political consultant and adviser to former Texas Gov. Ann Richards, told the Associated Press. Governor Greg Abbott’s opponent, former Dallas County Sheriff Lupe Valdez, is drawing very little interest in this year’s election. Her own deputies’ organization endorsed Governor Abbott, the Dallas Morning News reported earlier this month. With control of the U.S. Senate in play, the focus of Texas voters appears to have shifted to the Cruz-O’Rourke battle. Real Clear Politics (RCP) shows Cruz with a narrow 4.5 percent lead over the U.S. Representative from El Paso. However, that lead expanded following last week’s debate between the two candidates. Before the debate, the RCP average reported a 44.8 to 41.4 margin for Cruz. The RCP average now shows Cruz leading by a margin of 47.0 to 42.5. The latest Quinnipiac poll shows the Texas Republican Senator leading by nine points — 54 to 45 percent. The poll questioned “likely voters” for the upcoming election. Texans can continue to register to vote through October 9 for the November General Election.